According to Olive Leaf Bistro Chef Jimmy Shraby and Brennan’s restaurant in New Orleans, Bananas Foster originated in New Orleans in the early 1950’s. 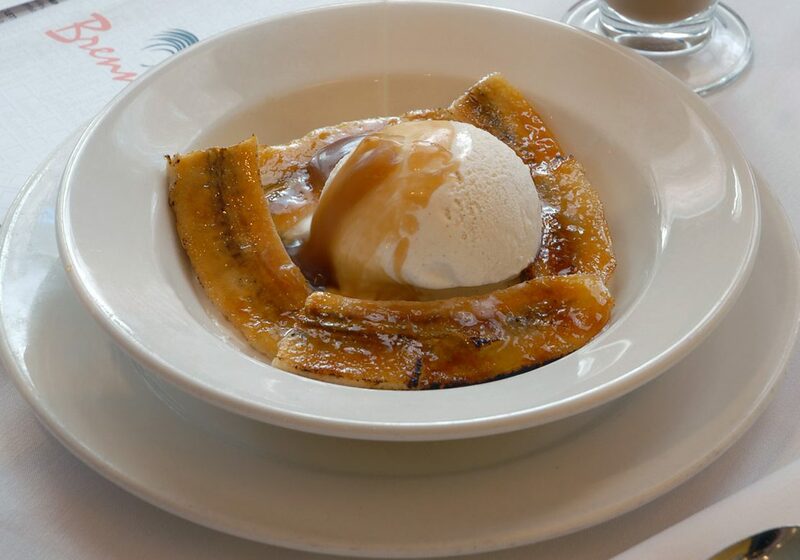 Bananas Foster originated at New Orleans&apos; Brennan&apos;s restaurant during the 1950&apos;s. The story goes… In the 1950’s, New Orleans was a major port of entry for bananas shipped from Central and South America. John Brennan owned a produce company in New Orleans and had a surplus of bananas—lots and lots of bananas! John’s brother Owen Brennan owned several restaurants, one being Vieux Carré on Bourbon Street. Seeing his brother’s predicament, Owen reached out to their sister, Ella, and Chef Paul Blangé to create a new dessert using bananas. 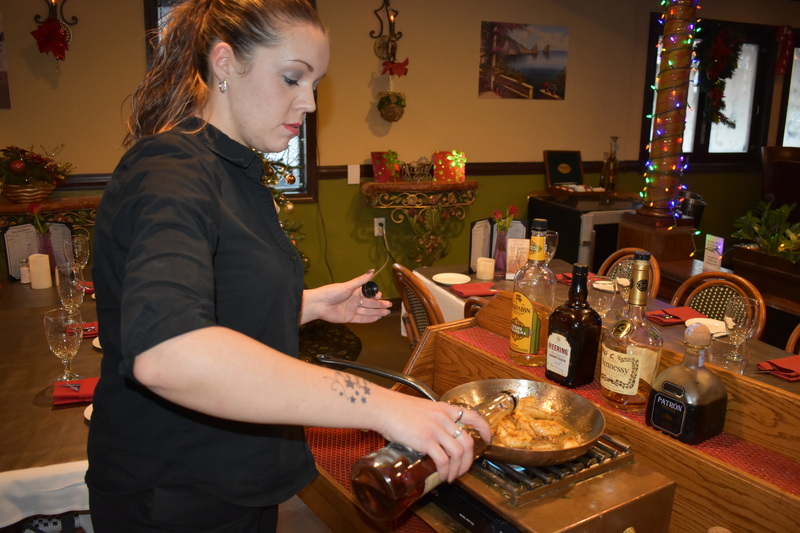 What Chef Blangé and Ella came up with is now the world-famous Bananas Foster. But how did the sugary, syrupy dessert get its name? Bananas Foster was named after Richard Foster. Foster, a member of the Metropolitan Crime Commission in New Orleans, was a close friend of Owen Brennan’s and a frequent customer at Brennan&apos;s Restaurant. 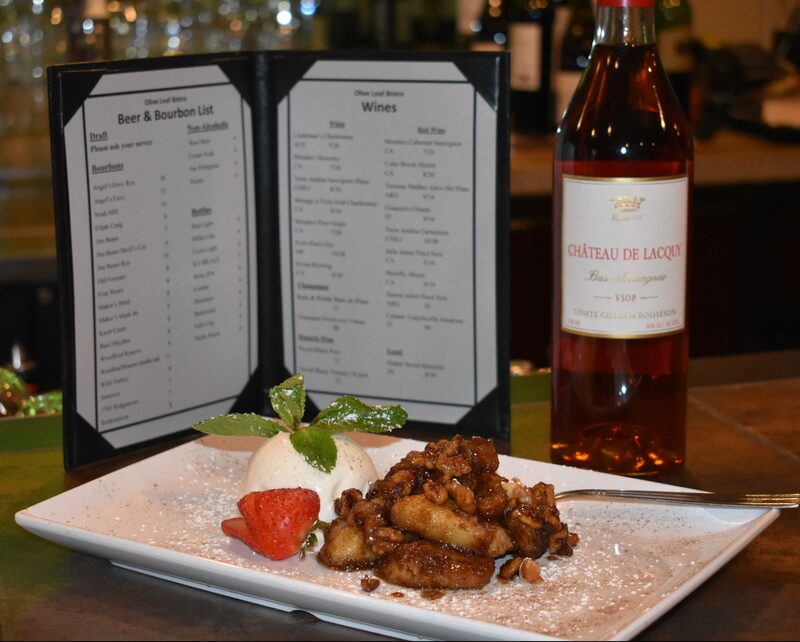 Now that you know the Bananas Foster story, here’s the recipe courtesy of Olive Leaf Bistro&apos;s Chef Jimmy Shraby. Enjoy!